“ Thank you so much for your excellent work on my violin - the neck graft is beautifully crafted and perfectly shaped. Your set-up works really well with the tone evenly balanced and functioning healthily. “ When my daughter had to change her Violin, we found her a very nice antique one which needed extensive work to get it back to playing condition. A Violin teacher recommended Mrs Katrin Gabriel for the restoration. “I have worked as a professional violinist in major London Symphony and Chamber Orchestras since the 1960's. During that time, I have owned and played on fine old Italian and 19th century French violins.I am therefore familiar with the work of some of the best dealers and restorers in London. “ Katrin Gabriel hat eine umfassende Restaurierung an meinem Giovanni Grancino Cello vorgenommen. Das beinhaltete eine Deckenwölbungskorrektur sowie diverse weitere Arbeiten an der Decke bzw. den Zargen. Katrin hat nach meiner Überzeugung eine phantastische Arbeit gemacht! Das Instrument klingt besser denn je, die Wölbung der Decke hat sich komplett so, wie direkt nach der Restaurierung, gehalten! Es gibt keinerlei Anzeichen für eine Einschränkung! Im Gegenteil: das Instrument befindet sich in einem deutlich besseren Zustand als vorher. “ Katrin knows that there is no such thing as a routine set-up or repair when it comes to meeting the needs of a professional player. Working with her within the remit of what is possible and what is required is a player's dream because of her fine craftsmanship and her meticulous attention to detail. She is happy to consult throughout the process and this collaborative approach engages both player and luthier, leading to a successful outcome. Immaculate craftsmanship, sensitive handling of a temperamental old master instrument - and its player! My viola came back sounding as though it had enjoyed a good holiday! THANK you, Katrin! 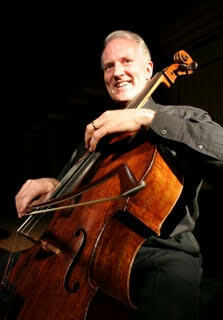 “ Dear Katrin Thank you so so much for restoring my lovely John Lott cello 'Lottie' back to health. I was immediately impressed with your expert knowledge and trained eye and your obvious passion for your craft. You noticed there was no extra wood support for the button inside and asked if I'd like that to be done. We communicated regularly as the work progressed and you sent photos of the inside. I was delighted that work started immediately despite the battle with the insurance company. We both sent letters and twice they refused to pay. Eventually between us we worked out what had caused the neck to come loose and the insurance company agreed to pay. I had asked if there was any chance of my cello being ready in time for 2 recitals on Remembrance Day and amazingly Lottie was ready 10 days before! I was excited and scared as I went to pick her up. What a beautiful job- lovingly restored- superb craftsmanship- and beautiful varnish work. I was shocked by how different Lottie sounded but the bridge was new, the neck set back at the right angle, and the sound was bright and raw. It only took a few days to begin to settle in and when I gave the 2 recitals I realised that my cello is much better than it's ever been! The sound is more powerful and centered, and projects far more than before. As I performed I found that Lottie is easier to bow, less effort and I could vary the sound and dynamics and give greater extremes than ever before. “ I have been delighted with the repairs that Katrin carried out on my violin by Eugene Henry of Paris. After constant playing in the orchestra over a number of years it was becoming unreliable due to old repairs no longer being effective. Katrin undertook major repairs of several cracks, opening up the instrument, methodically removing old superglued cracks and then repairing them with the right type of glue. She was meticulous in her work, keeping me informed at every stage, even sending me photographs before and after the repairs of the inside of the instrument. As a result of her repairs and with her help setting it up afterwards the violin sounds the best since Iʼve owned it and I am really pleased that it works well and is reliable.